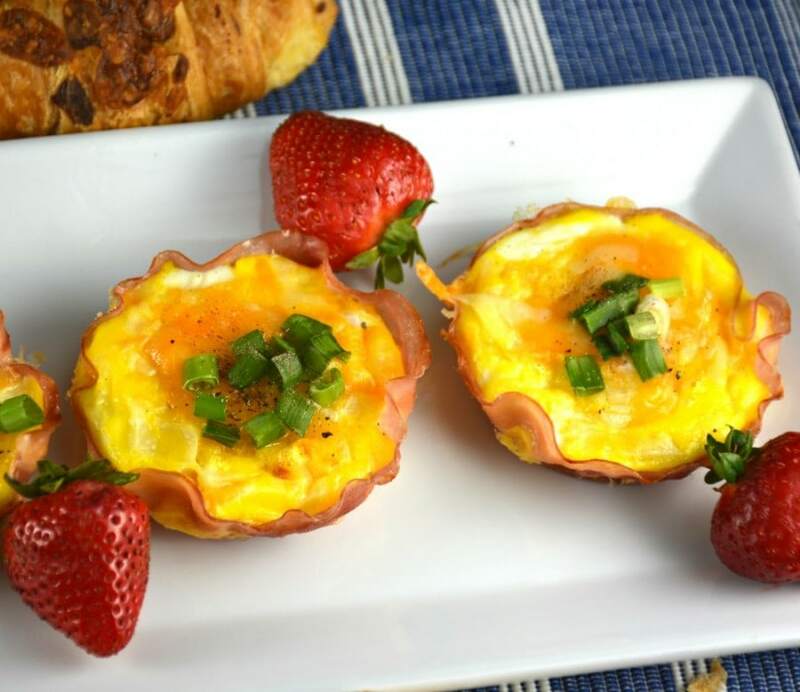 Easy Omelet Ham and Egg Cups are an easy, quick and tasty way to make breakfast or brunch! Using any vegetables or cooked meat your heart desires! When Patrick was small we used to love making these together. I loved watching him count the small amounts of vegetables that he put into each ham cup. Just adorable. He had to be sure they each had the same exact number. We used everything from broccoli, peppers, onions, sauteed mushrooms, tomatoes and the list goes on! Really any vegetable you enjoy with eggs you will enjoy with these. As far as the different meats go we have used any combination of ham, cooked sausage and cooked bacon. Whatever he felt like including or whatever was in front of him to include. Sometimes I just had to use things up! Frankly, he has always loved to cook and never complained either way and they always tasted great! 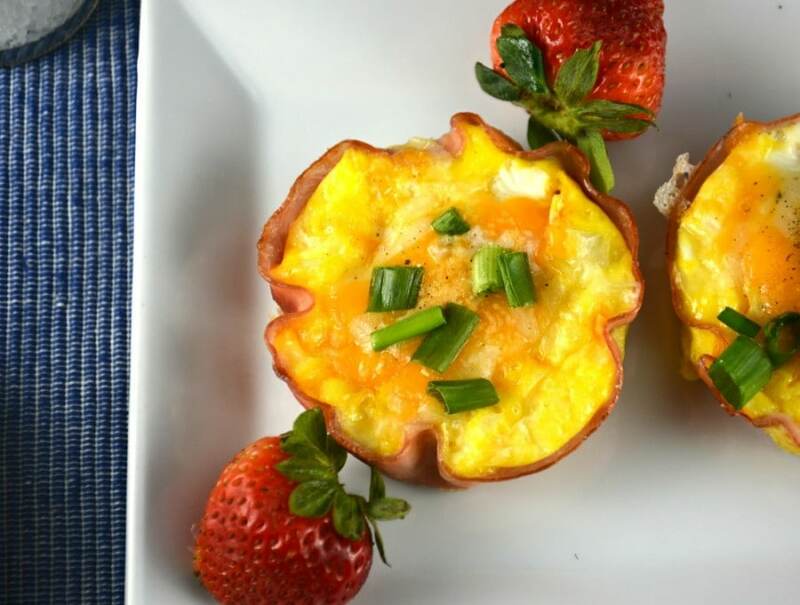 We also make a simpler version of these Easy Omelet Ham and Egg Cups called Easy Ham and Egg Cups. 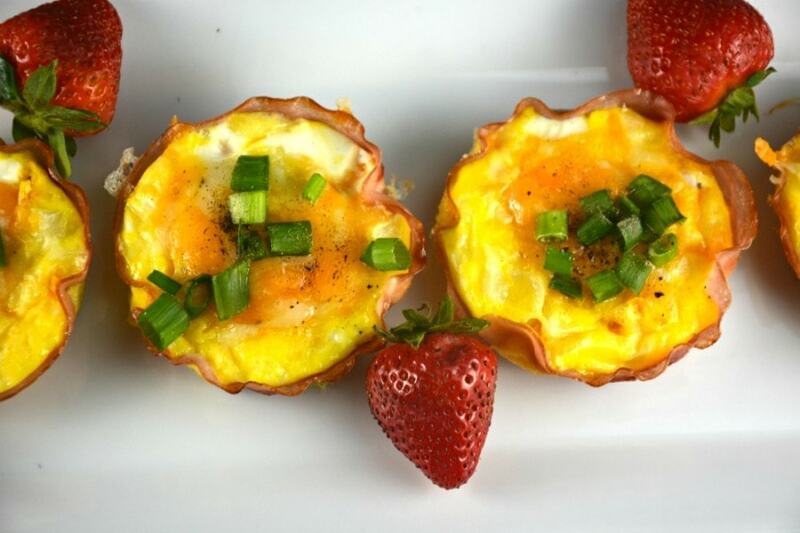 In this recipe you use the entire egg and if you are like us and love to dip toast in your eggs, this recipe is also definitely worth a look! If you don’t like to dip you just need to cook your eggs until they are done to your liking! Just because we love this recipe so much we have made a short video for you to watch that will be ready soon! Hopefully you have a few seconds to check it out! Lightly coat muffin cups with cooking spray. 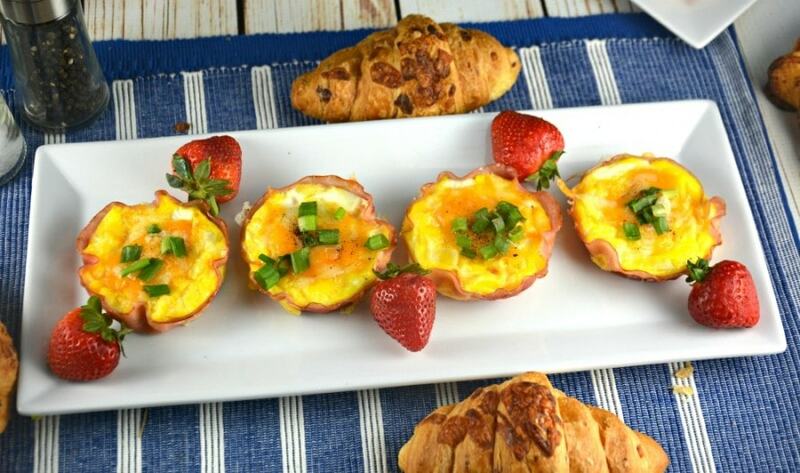 Fit 1 slice of ham into each muffin cup as best you can. Place a tablespoon or so of mixed chopped vegetables on top of the ham at the bottom of the cup. If you are adding additional ham, cooked bacon or sausage, now is the time to do it. 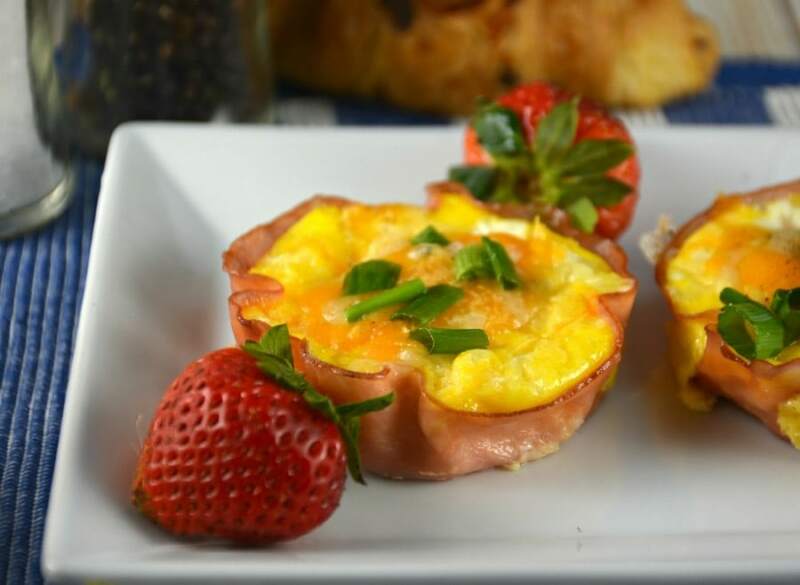 The ham will not fit perfectly in to the cup and some of your egg may run outside the ham into the muffin cup. This is ok. .
Scramble eggs in a bowl and add water or milk. Using a ladle spoon the eggs on top of the vegetables, in to the muffin cup. Bake between 16-19 minutes. Sprinkle salt and pepper on each egg before serving if desired. I usually don't. Remove ham and egg cups carefully. Sprinkle with chopped green onions if desired. Serve immediately. Enjoy!